Le Petit Ivan is an adaptation from a Russian folk tale. It was one of the four fairytales I wrote for the international exhibition Once upon a time in Russia, organised by Natalia Howard & Isabella Mazzanti. Le Petit Ivan was published by Le lièvre de Mars (Montreal, Canada) in 2018. Illustrations are by Yvan Duque. 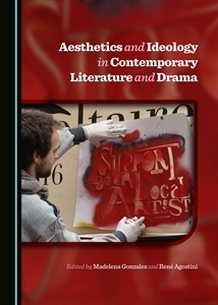 I've got an essay included in this volume, edited by Madelena Gonzalez and Rene Agostini (2015). My contribution is entitled "Can we remind you that you're watching a play?" Tim Crouch's The Author, and was first presented at a conference at the University of Avignon in 2013. This piece is also included in my PhD thesis The New Dramatic Play: Reflections of Practice, Process, Theory (Roehampton University, London). My short play Knock-Knock was published in the second - I think - volume. I worked for a number of newspapers and literary & arts magazines in Greece for several years. I wrote theatre reviews and interviewed top artists from all fields: theatre makers and choreographers, novelists and poets, composers, visual artists, performers. (2005 - 2015). My first published book was a collection of poetry. 1999. ​... in various print and online magazines in the 2000s. Cadenza was a beautiful publication that unfortunately didn't survive long. (I think the average lifespan of literary publications is 5 years). I had a poem published in this volume entitled Kitchen.